A pilgrimage to view all the Andy Warhol exhibitions around Chicago this summer will take you from tourist-laden Streeterville to tree-lined Hyde Park to the suburban flatlands of Glen Ellyn. There was no citywide master plan to the coordinated showing of Warhol’s works (unlike the recent thematic, “The Soviet Experience”), but the concurrence evidences the artist’s durable popularity. Warhol is a go-to name brand that bodes well for museums and sits well with the public. The three exhibitions, though, focus on his later work, from the mid-1970s through the 1980s, well after the Marilyns and soup cans. Unlike last year’s “Andy Warhol: The Last Decade,” presented by the Milwaukee Art Museum, which surveyed the artist’s uneven career in the 1980s, the current exhibitions do well to hone in on smaller bodies of specific work, such as his documentary street photography and the shadow paintings series. 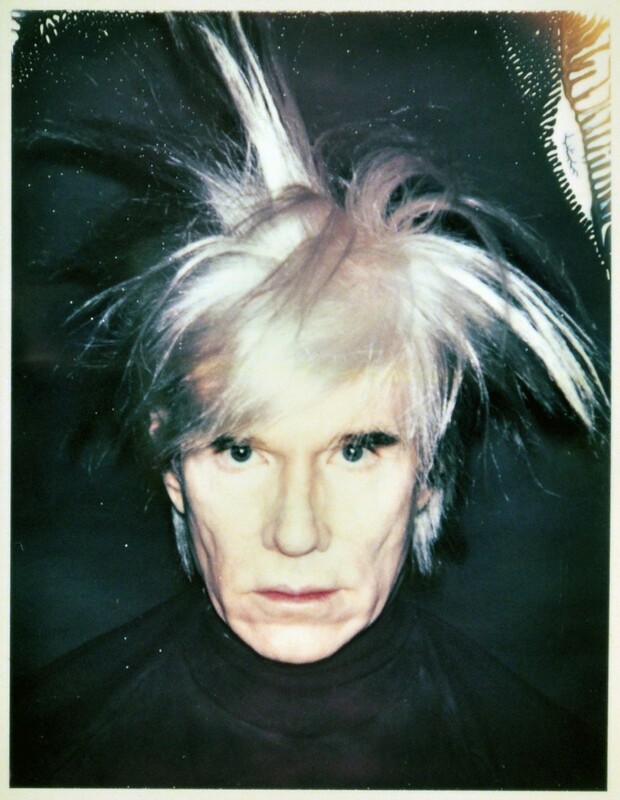 These boutique exhibitions refine Warhol’s over-prolific output to pointed theses, revealing that, although everything and anything could be the subject of a Warhol artwork, he is enjoyably digested in small doses rather than a glut of a retrospective. It was not by simple happy accident but part of a larger design that both the Smart Museum of Art, at the University of Chicago, and the Gahlberg Gallery, at the College of DuPage, opened exhibitions of Warhol’s photography. A few years ago, the Andy Warhol Photographic Legacy Program distributed over 28,000 of the artist’s photographs to American institutions, including nine sites in Illinois, which means that you can be guaranteed to see similar exhibitions of Warhol’s photos at the Art Institute of Chicago, the Museum of Contemporary Photography, the Block Museum of Art, the DePaul University Museum, the Krannert Museum and the Northern Illinois University Art Museum in DeKalb over the next few years. Each institution was gifted about 150 photos. As the program’s name suggests, this widespread seeding of Warhol’s art assures the continuation of his legacy. The curators at the Smart Museum and the Gahlberg Gallery are not exhibiting the photos en masse, but are doing well to make thematic selections and provide contexts for the works. One grouping at the Smart Museum shows Warhol as a street photographer, documenting New York urban life and domestic settings, so that we see what gay men or tagging or televisions looked like in the late-1970s. At both the Smart Museum and the Gahlberg Gallery, additional loans of better-known silkscreens complement the photographs in cases where this makes sense. For example, the Smart Museum pairs a 1981 screenprint of the Wicked Witch of the West with a 1980 Polaroid of the actress who played the Witch. The screenprint seems like an ad for the musical “Wicked,” where the character is utterly un-transformed by Warhol’s machinery, entering the territory of mass-appeal kitsch, whereas the Polaroid of the actress is a sad little memento of celebrity’s post-script. The strength of this and other photos is that their subjects are frozen in time, and although many are posing or acting, the poses are significant and nostalgic, too, approaching a humanness that the garish silkscreens never intended to achieve. The greatest coup of this Summer of Warhol is the major loan of over fifty canvases from the “Shadows” installation, from 1978-79, on view at the Arts Club of Chicago. This is about half of the full cycle of paintings, which comes from its home at the Dia in Beacon, New York. The shadow paintings are hung shoulder-to-shoulder in a neat horizontal row so that they create an immersive cave of paintings. They are playfully gothic, casting shadows in turquoise and red, but in their monolithic silence they inspire reverence, like a visit to the Rothko Chapel. At the Dia, over-soft couches are provided for viewers, giving a loft-like feel to the cavernous installation, as if one could hang out with the paintings like one could hang out at The Factory. But the Arts Club makes visitors stand in the gallery, which prompts a trek around the space, as if passing through a stuck-on-repeat film reel, the body’s shadow cast in black and Technicolor, slipping off the edge, never quite fully forming, splattered like cinematic blood, a ghost in the big machine.